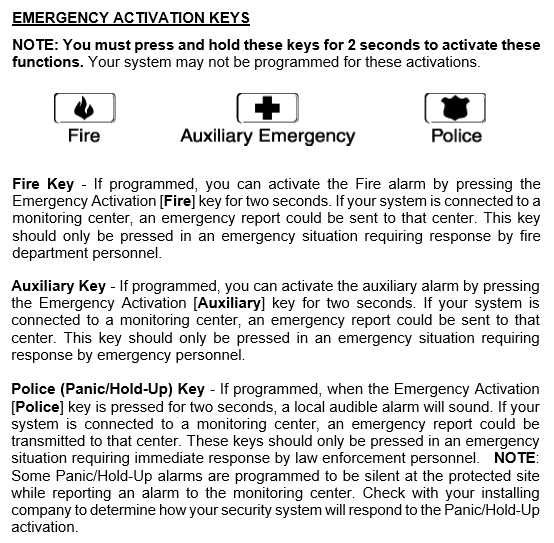 Find answers and general information quickly about your Fire, Security, or Life Alert system. For detailed instructions for your specific product, please visit our Product Manuals. 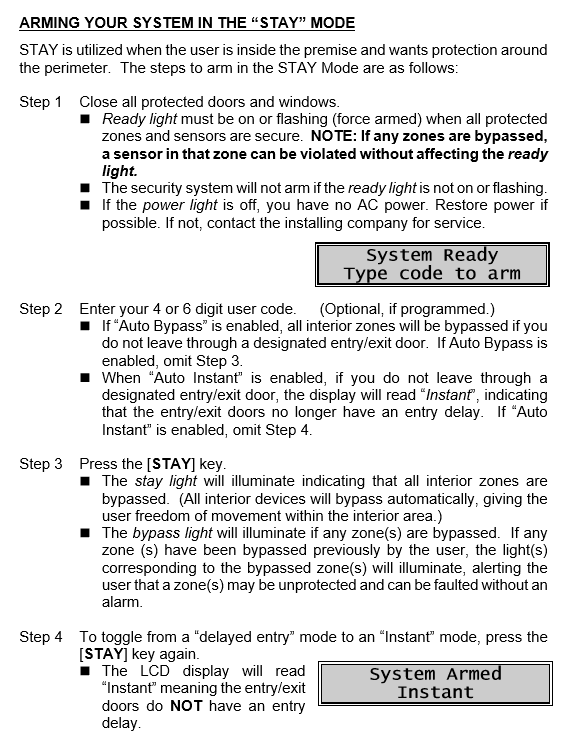 How to test your Security/Alarm system. 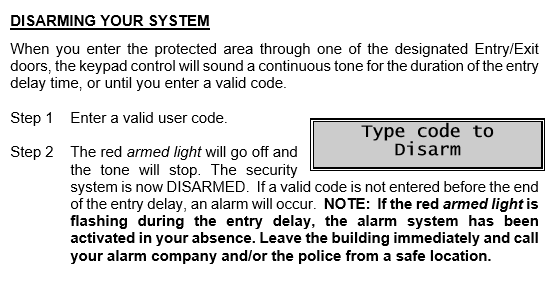 1) To put your alarm in test, please call the monitoring center @ 1-800-438-4171. Please have your account number or password readily available for their customer service representative. 2) Set your alarm and allow time for alarm to complete its countdown. 3) Open doors, windows etc and walk around for motion detection. Try to test all areas that are protected. 4) Call the monitoring service back to request your test results. 5) Please notify our office of any problems found during this test. Your security is of the utmost importance to us. Please test your alarm at least once per month!!!!! Reset Smoke Detectors, Zone Troubles, and Zone Tampers. Using the Door Chime Feature. 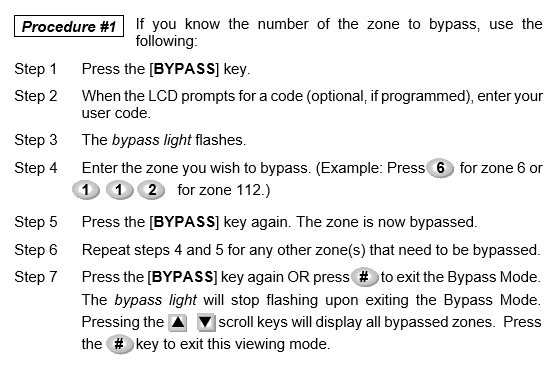 Arming your System in the "AWAY" Mode. 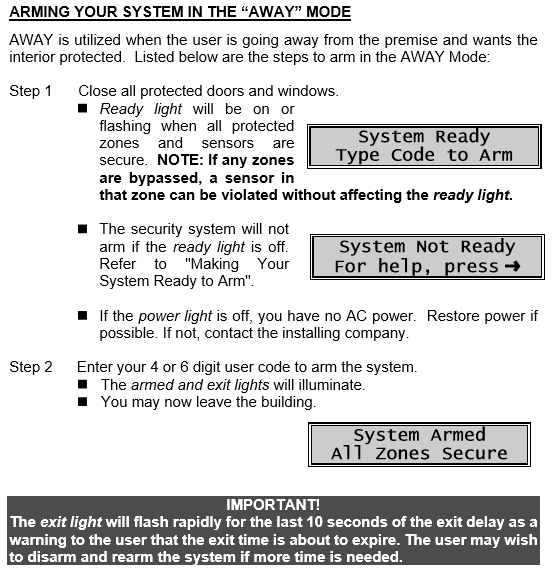 Arming your System in the "STAY" Mode.